Kobra Military Gen 3 8 MPP Red Dot Weaver Rifle Scope, Screw Mount. The latest edition of the world famous Kobra. Kobra Military Gen 3 8 MPP Red Dot Weaver Rifle Scope, Screw Mount. The latest edition of the world famous Kobra is an open collimator "red dot" combat optic using laser-generated "heads-up display" (HUD) technology to superimpose a reticle pattern onto a filtered lens which acts as an aiming device for the shooter. This system presents an unobstructed field of view, in 1x power which allows for extremely comfortable, "both eyes open" shooting. On average, most users will see 1.5 times faster target acquisition and a 50% smaller shot group at 100 meters, in comparison to using iron sights. It is designed for engaging fast moving targets and targets appearing for a short period of time in close quarters and urban combat situations in various light conditions. 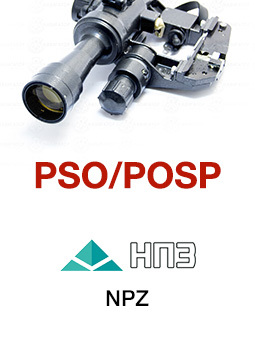 It provides clear targeting from 104 lx to 10-2 lx (daylight, twilight and moonlight), one- or two-eye targeting, is very effective when shooting from moving vehicles, and allows for perfect kill shots on fast-moving, small and spontaneously appearing targets. It is a recipient of the prestigious Russian Gold Diploma. The Kobra offers a similar if heavier build-style to the SGC Quatro with an open, L-shaped frame with the lens at the front. And also offers similar features. First and most important is a choice of four aiming marks - single dot, open T, reversed chevron or reversed chevron with dot on top. All these can be selected by the simple push of a button, as opposed to having a dial them in. 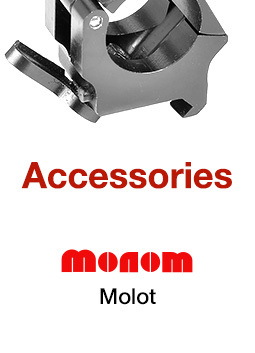 The ON/OFF is a rotary lever and the rheostat, a rocker switch, are all located on the bottom of right side of the body. At the rear top and left are the adjuster turrets. There's even a tool that allows you to re-zero the turrets if you run out of adjustment. 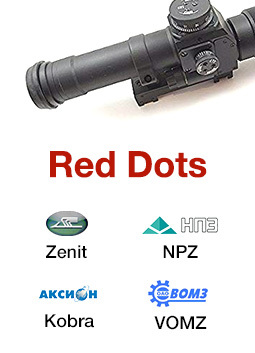 It is a tough, well-built Red Dot with superior features at a fraction of the cost of other similar scopes. A definite Best Buy, the Kobra is currently used by the Russian armed forces, including the most elite units of the Russian Special Forces. It has also been seen in service over the last several years in the Caucasus, and is a battle tested design which has proven worthy of the Russian military tradition of reliability, form, and function. It has elevation and windage adjustments, ballistic correction limits from 100-700m, is lightweight, shockproof, has a sealed body, and is for use in severe conditions. The 16-level digital brightness adjustment is an added plus. It has been proven that the Kobra tremendously improves aiming effectiveness, especially at nighttime, resulting in more target hits. 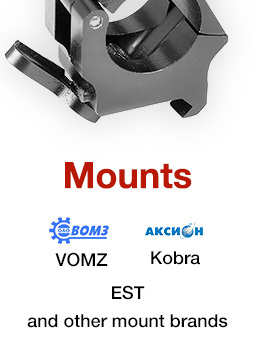 The Kobra Weaver version is designed to fit all standard Weaver mounting optics plates currently in common use. Comes with everything pictured - carry case, manual, CR2 battery, Sunhood, special screw driver (in the side pocket of the carry case) and cleaning cloth.